Godrej Active : Live an active lifestyle with luxury apartments and world-class features of refined perfection! Pune is an incredible city in the state of Maharashtra that is known for its beautiful environment, lush greens, low air-pollution, the finest education hubs, IT parks, job opportunities, fabulous nightlife and people living in harmony. There is something about this city that you just cannot find elsewhere. In fact, Pune is one of the most loved cities in the country that is loved by families, working individuals, senior citizens and students and well. The real estate market in Pune has elevated over the years with a number of residential projects throughout the city and its outskirts as well. 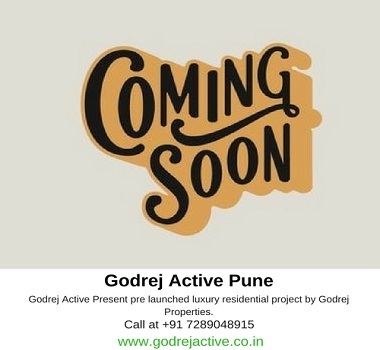 Godrej Active is a new residential project in Pune by Godrej Properties Limited that offers an active modern-day lifestyle of pure elegance. Extended over vast acres of land, this development contains glorious towers that offer 2BHK and 3BHK luxury apartments of different configurations that are nothing short of architectural beauties! With large apartment area sizes, experience a world of premium comfort through the luxury space that will meet all your needs and requirements. As the options of residential units are many, you will have the perfect luxury apartment right at your fingertips! 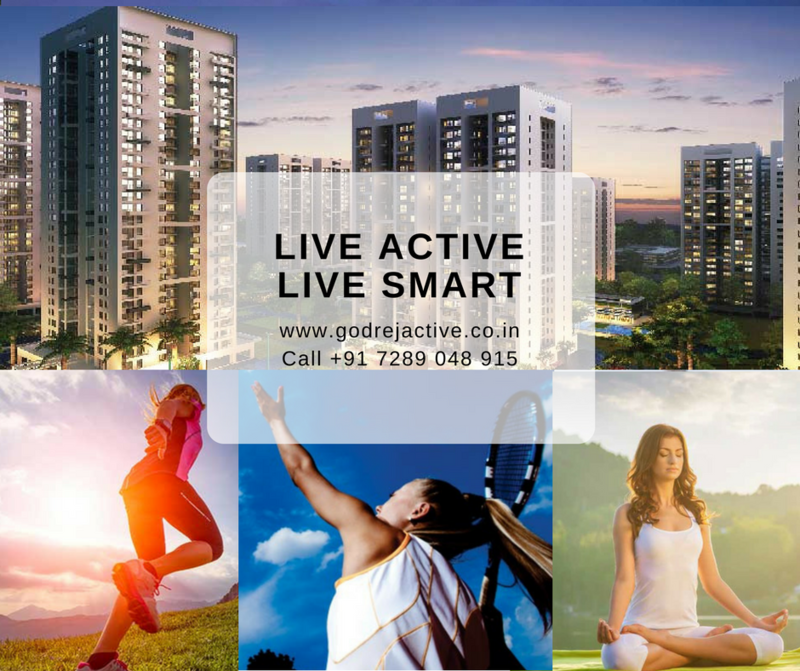 Godrej Active Pune is an outstanding residential development that offers a modern-day lifestyle that keeps you active, fit, happy and entertained 365 days! The apartments are spacious, provide beautiful natural lighting, cross ventilation in every room and contain high-quality flooring, luxury fittings & fixtures, decorative doors, large balconies and windows providing jaw-dropping landscape views, distinct kitchens with premium platforms and multiple provisions, electrical ports located perfectly for easy access, safety features and the list goes on.This development also offers a grand range of external amenities of pure delight and pleasure! There is something for you and your loved ones to enjoy and life an A-class life. The external amenities include a lavish clubhouse for recreation activities, hi-tech gymnasium to always stay fit and healthy, beautiful yoga centre to be at peace, Wi-Fi connectivity to stay in touch with the world, spectacular indoor/outdoor sports facilities, landscape garden, wide open space that will always make you feel happy and free, fancy sit-outs for you to spend time with family and friends, power back-up for emergencies and well-trained security for an uninterrupted lifestyle. Located at Keshav Nagar in Pune, Godrej Active Keshav Nagar has a number of your everyday landmarks in close proximity and offers a life of convenience that will always keep you satisfied. Places like schools, colleges, institutes, banks, ATMs, medical centres, hospitals, malls, shopping centres, general stores, clubs, pubs, lounges, restaurants, cafes, cinemas, public transport and a lot more can be accessed without worrying about long-distance journeys. It is an undeniable fact that Godrej Properties Limited has always focused on providing affordable housing without any compromises on luxury and the same applies to this residential development as well. The Godrej Active price affordable and well-planned to meet every budget perfectly! You can opt from a number of payment plans along with home loan facilities through associated banks, NRI services, customer support and more for a happy buy.